The total value of new mortgages drawn down last year rose by nearly a fifth compared to the previous year. 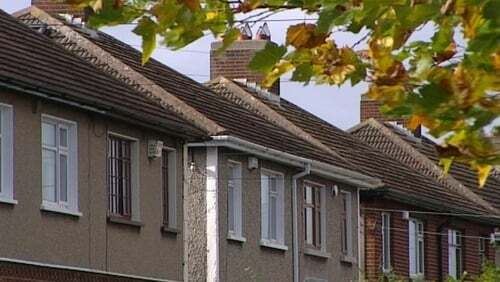 However, the data released by the Banking and Payments Federation Ireland (BPFI) also shows that the volume of mortgages approved in December fell sharply compared to November. The BPFI Mortgage Drawdowns Report for the fourth quarter shows 12,112 new loans worth €2.6bn were drawn down during the three months, up 18.2% in value on the same period in 2017. The largest section of the market remains first-time buyers, who borrowed 48% of the total amount during the quarter. Looking at the year as a whole, €8.722bn was borrowed over the 12 months, up 19.7% in value terms compared to 2017. In total, this amounted to 40,023 individual loans, a 15.5% rise on the year before. But while the property lending market appeared on the face of it to be continuing its recovery, the volume of approvals took a nosedive at the end of the year. In December, 2,908 mortgages were approved, representing a 29% reduction on the November figure, although year on year the volume rose by 5.9%. The collective value of those approvals was €656m, with First Time Buyers accounting for almost half of the total. Year on year the overall value of those loans was down by nearly 27% compared to November. The BPFI said the dip in approvals at the end of the year was largely due to seasonal factors. But it added that the indications are that 2019 will see continued growth in mortgage drawdown activity.